The Club is a forum for discussion about all aspects of finding out about our ancestors and how they lived. 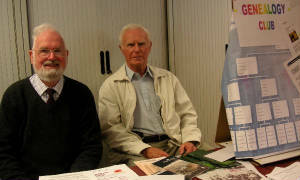 Members range from beginners to experienced researchers and we all learn from each other through speaking about our experiences and successes in finding out about our family history. Can you help me? Do you know the answer? Which Ancestor would you most like to meet? What questions would you like to ask?